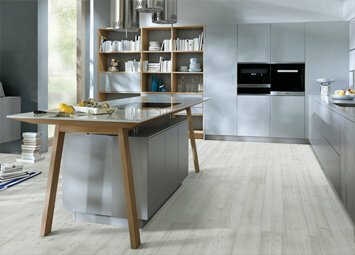 Schuller really do provide kitchens for life, and our Schuller range in London can help make your dreams a reality. 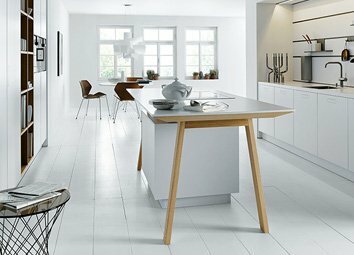 Schuller kitchens are available in a huge range of different door fronts and height options, so they can be ergonomically designed to suit everyone’s lifestyles. With a wide choice of handles or handle-less doors, depending on your preferences, complementary colour options and more, the individual layout of each of our Schuller kitchens in London can be tailor-made to suit you. Whether you’re searching for side opening, bi-fold, top hung or double stacked wall units, or even open shelving, you can be sure that our Schuller kitchens in London can be designed to suit you. 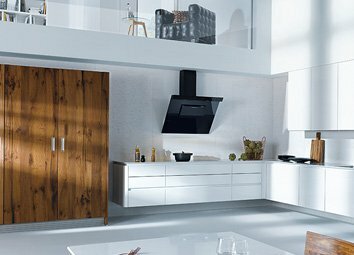 The Schuller kitchen collection offers comprehensive selection of doors including contemporary and more traditional panelled doors in laminate, lacquered or wooden finishes. The wide range of doors, available in the Schuller kitchen collection, allow kitchens of all budgets to be designed and the attractive doors in price group 0 or 1 ( eg Nova or Unigloss or unimat) are very affordable yet look stunning. The classsical framed wooden Finca door ( available in 8 warm colours ) will delight the customer who strives for a more traditional kitchen look but which conceals brilliantly designed internal fittings. The curved doors available in some of the door styles can soften the layout of the kitchenand omit the needs for square and harsh corners. So many different depth of drawers to choose from :- 370mm, 460mm 560mm or 660mm so every inch of space can be utilised in the kitchen layout. The brilliantly designed brand new Orgawall 60mm thick panels in stainless steel or onyx black make use of the area currently redundant at the side of tall units and allow space for phone chargers and bits and bobs and a variety of other uses to omit the need to dump these items on the worktop.